Silver Wind Twister, "Charlie" is a tremendous stallion to be used for the production of purebred and part bred stock. His conformation, athleticism and temperament are consistently passed on. He has over 9 1/2" of bone, very good limbs, straight and powerful movement. 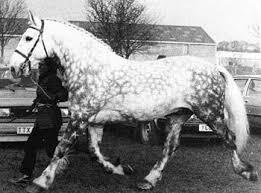 He is by the legendary Silver Jasper (right), known himself to be a stallion to produce the best traits Charlie exhibits. 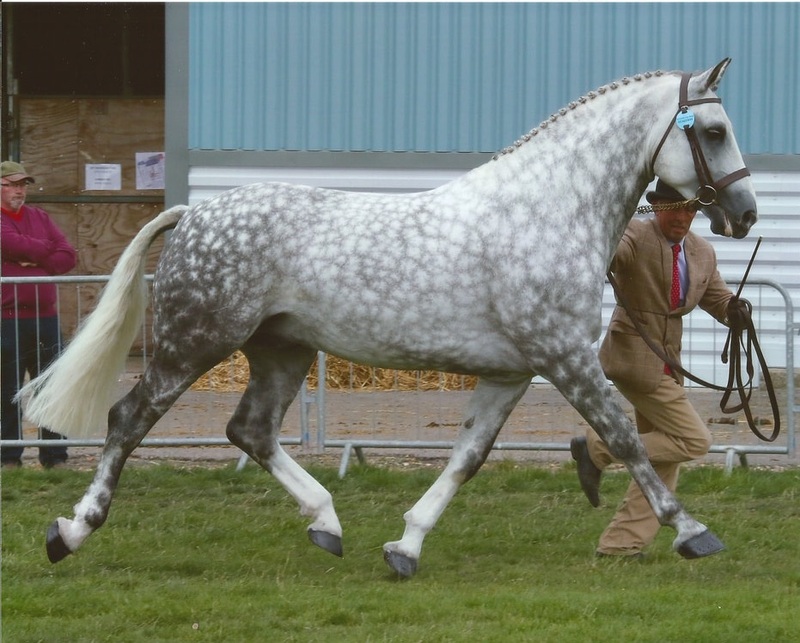 ​Besides the beautiful dapples, Silver Jasper stock are consistent winners in the show ring and other disciplines, from HOYS Qualifiers to upper level eventers. They have always been known for outstanding temperaments. Charlie's dam, Westpoint Diamond, was a Hornby mare by the great Roma Diamond Skip (left). Roma Diamond Skip stood Reserve in the Stallion Class at the Royal Dublin show as a British bred four year old - quite a feat! He went on to produce show winners too numerous to list as well as eventers and show jumpers in addition to purebred stallions. He is an excellent stamp and asset to any pedigree. For the purebred enthusiast Charlie offers a fantastic pedigree including Kilmore Heather, Roma Diamond Skip and Skippy as well as Hornby Premium earning mares. His adherence to type includes short cannons with 'plenty of good clean bone,' a lovely shoulder, strong hindquarters - in general a powerful and proportionate horse with a free way of going. For the sport horse breeder, Charlie offers the best traits sought from the traditional Irish Draught. His knees and hocks are low to the ground with a strong forearm and second thigh. 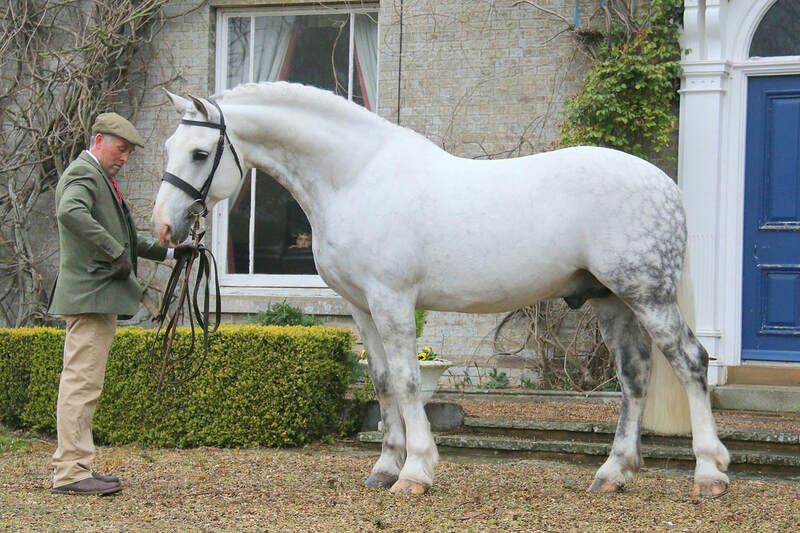 He has a lovely natural topline, scopey jump and classic irish temperament, combining bravery and kindness. In both cases, Charlie will produce stock for many disciplines to include: eventing, dressage, showing, jumping and hunting. Charlie has excellent fertility, he has young stock on the ground and repeat breedings. Bell Tower Stud is proud to stand him on behalf of his owner and breeder, Mrs. Sue Tennant. Please email belltowerstud@gmail.com for more information.